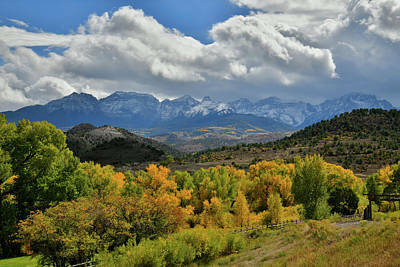 Dallas Divide is about 10 miles west of Ridway, CO. 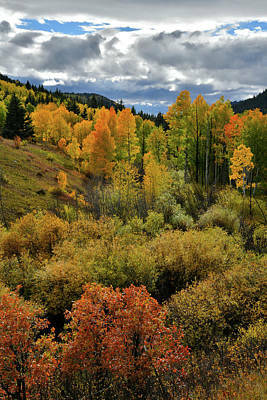 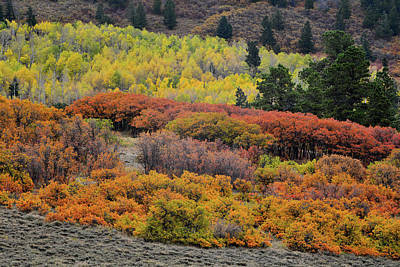 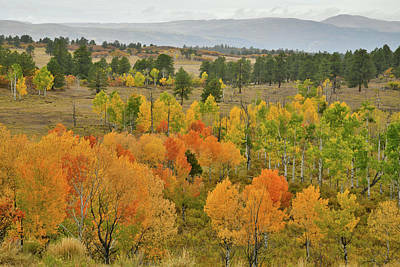 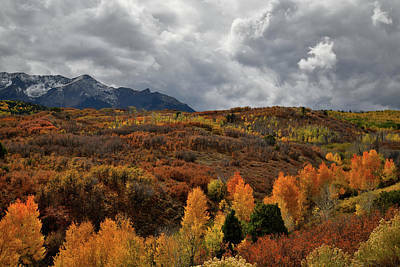 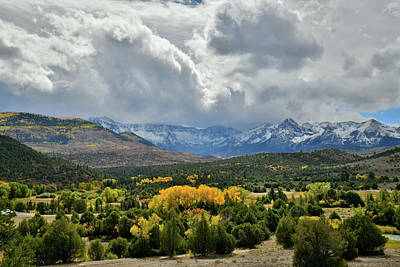 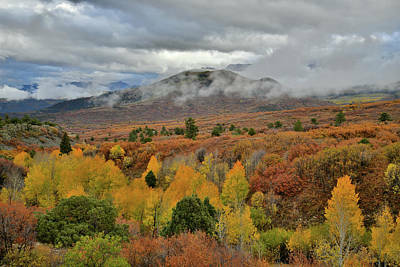 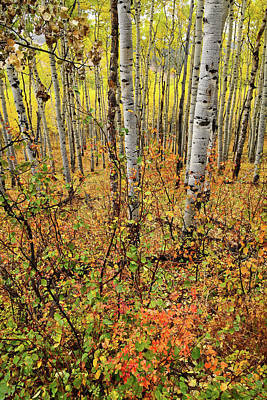 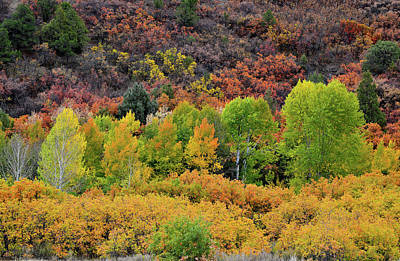 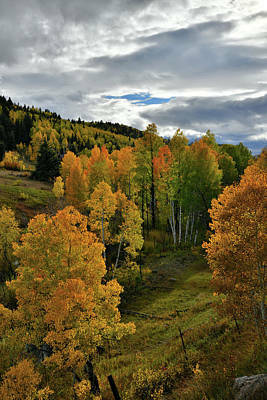 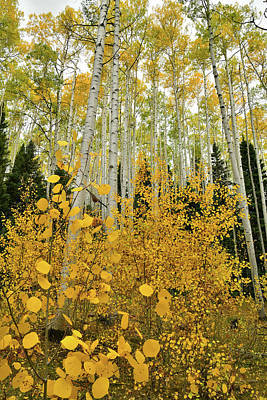 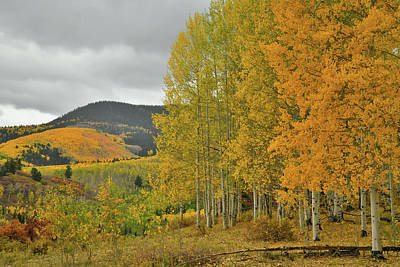 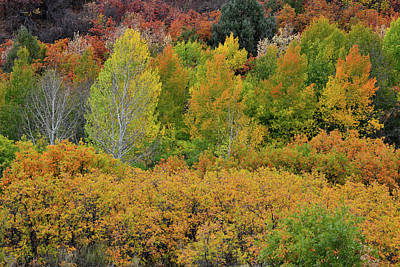 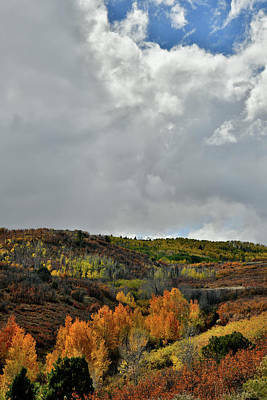 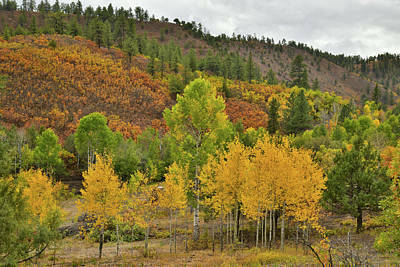 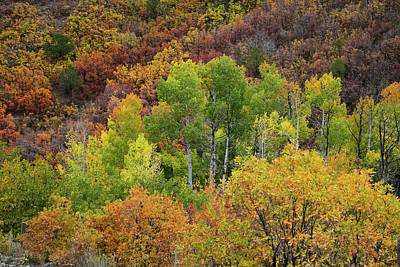 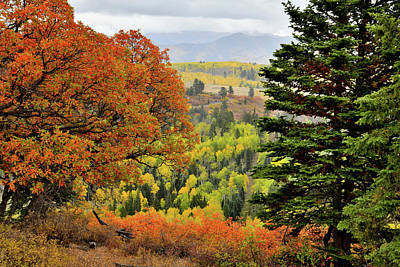 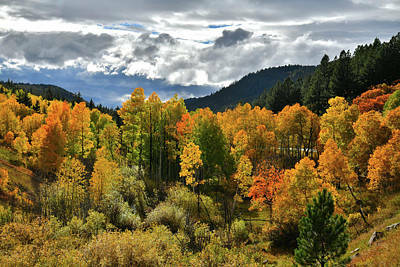 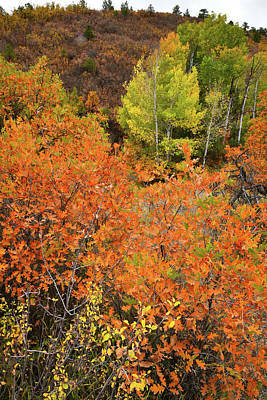 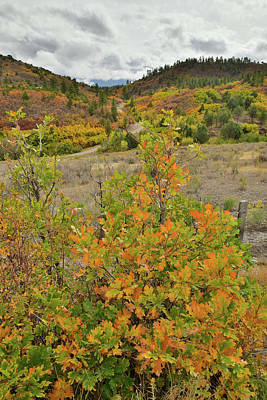 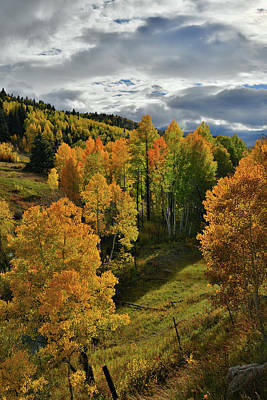 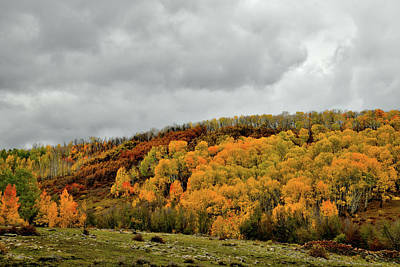 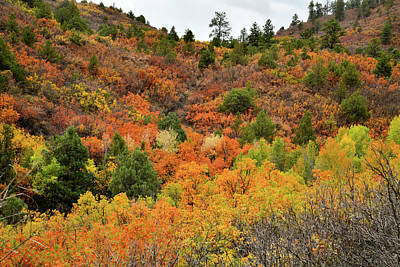 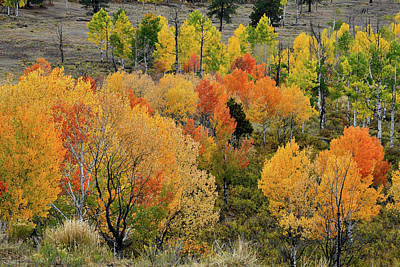 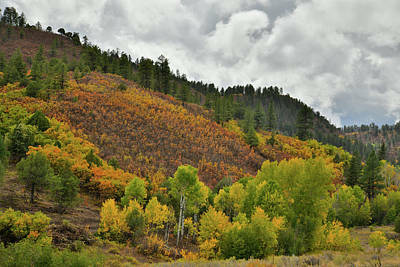 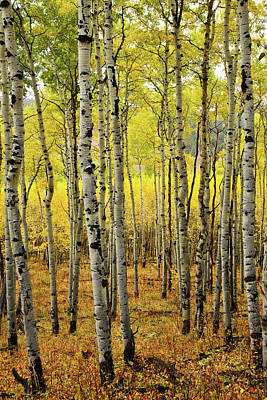 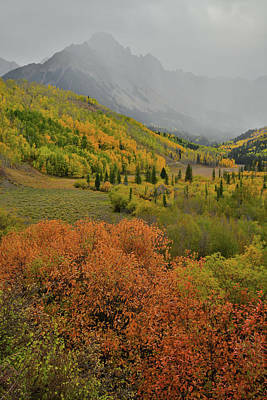 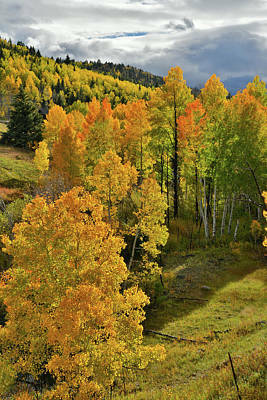 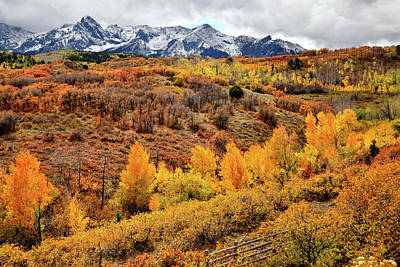 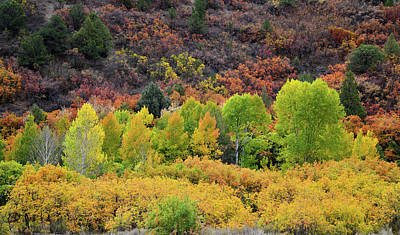 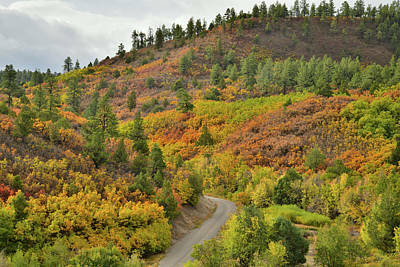 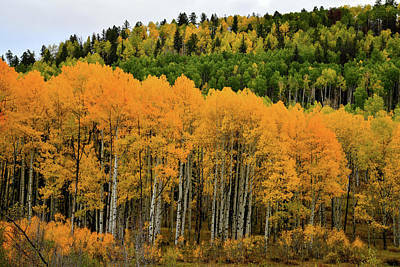 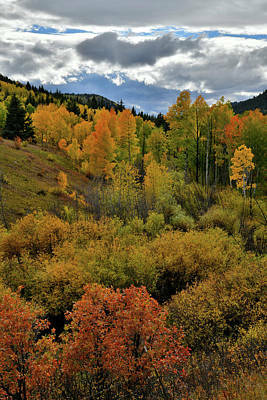 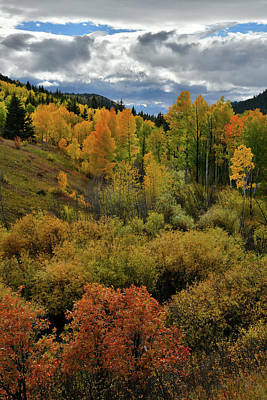 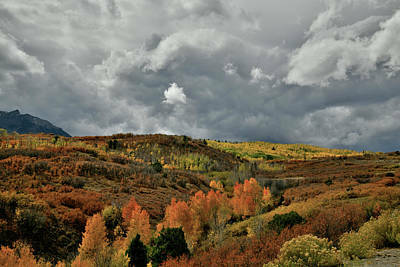 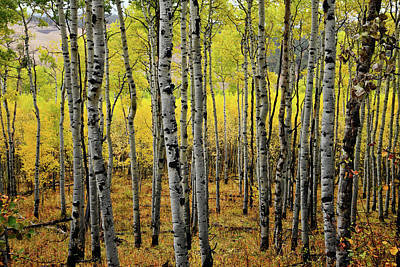 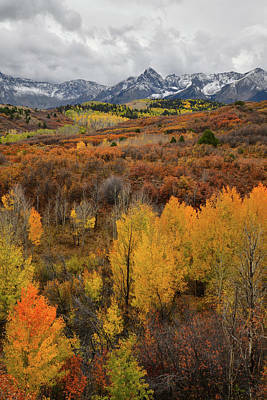 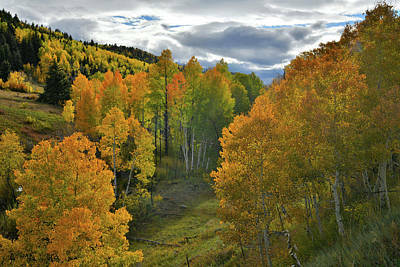 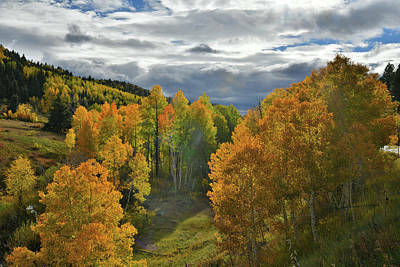 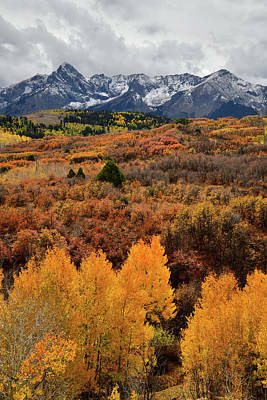 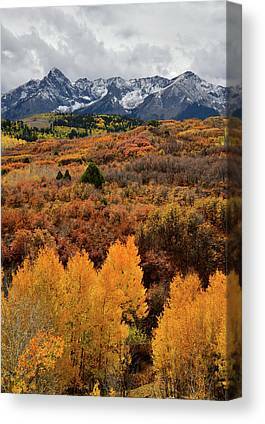 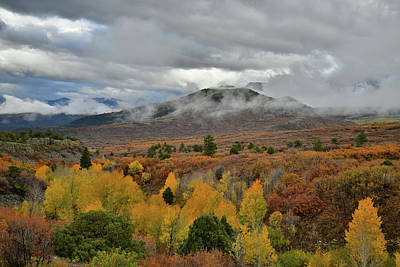 It's one of the most iconic and popular spots for fall color. 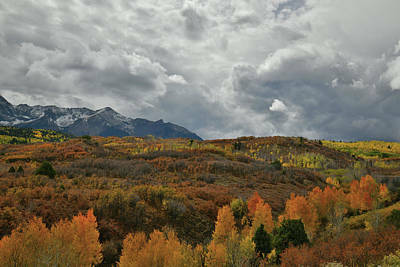 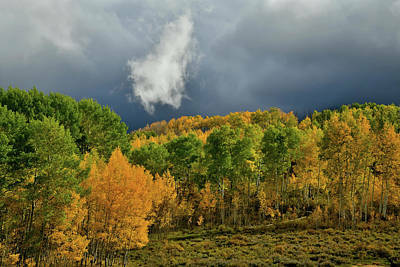 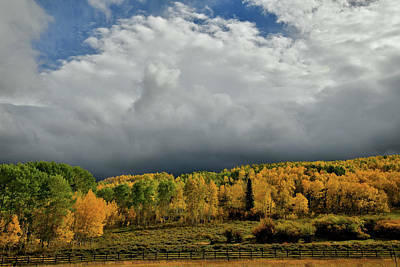 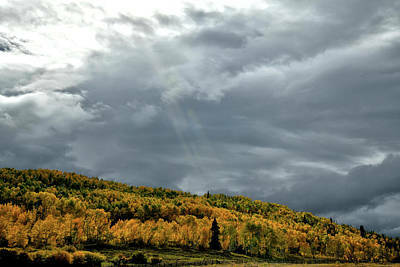 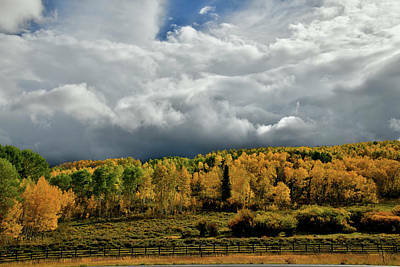 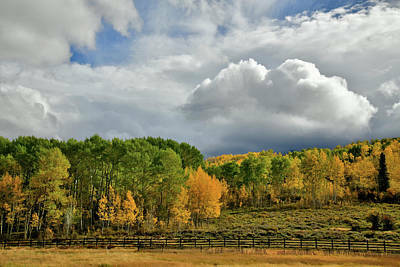 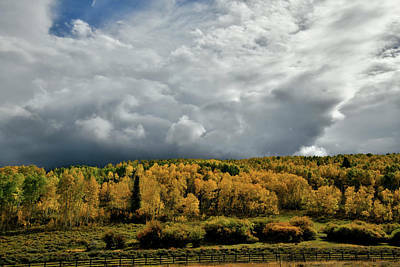 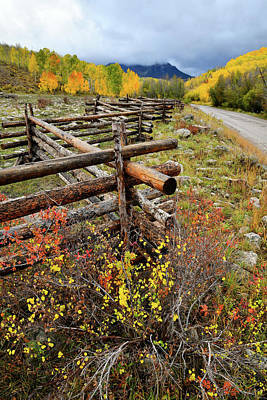 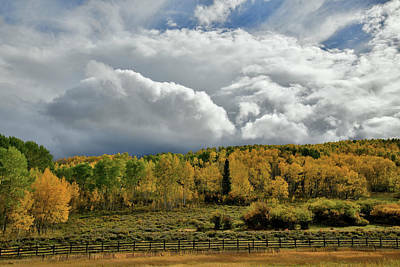 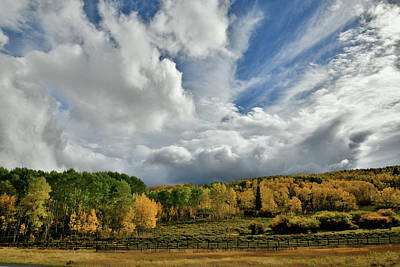 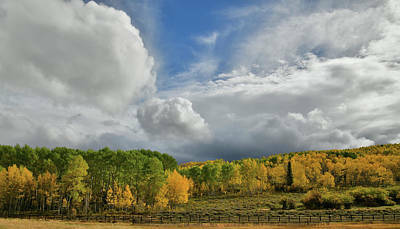 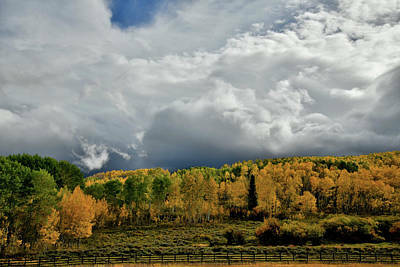 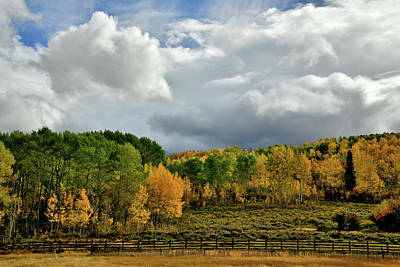 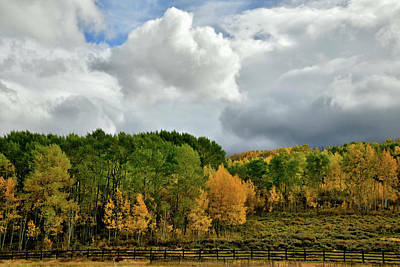 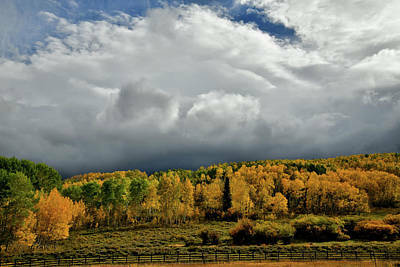 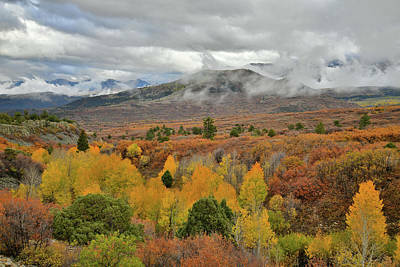 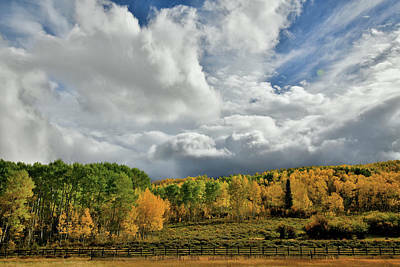 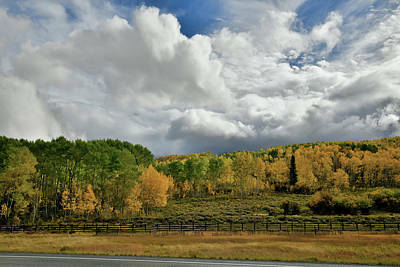 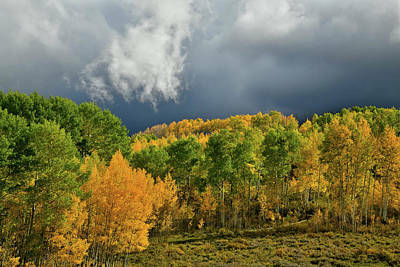 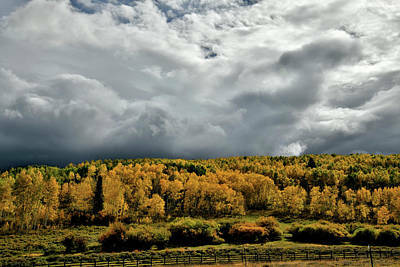 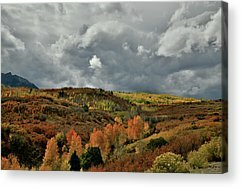 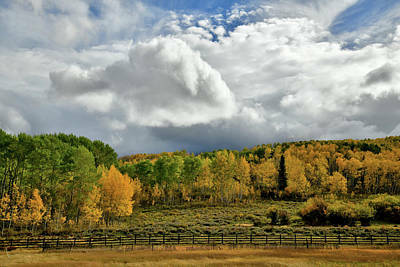 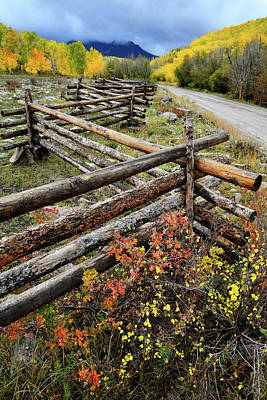 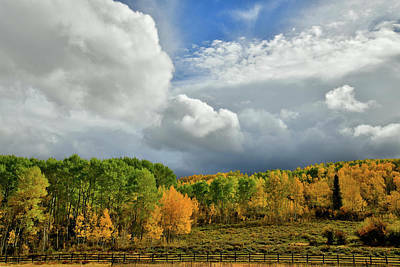 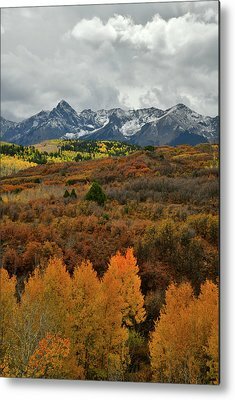 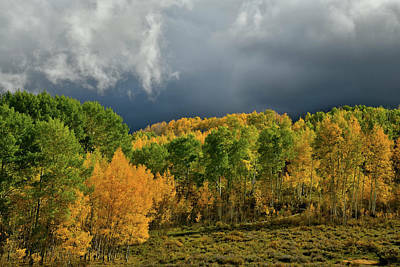 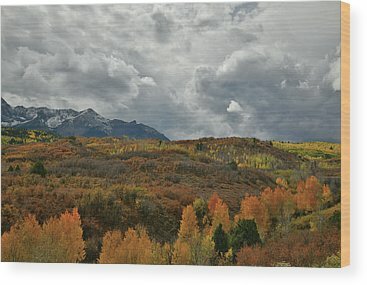 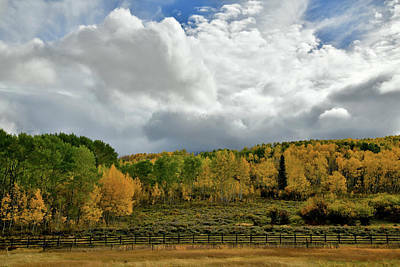 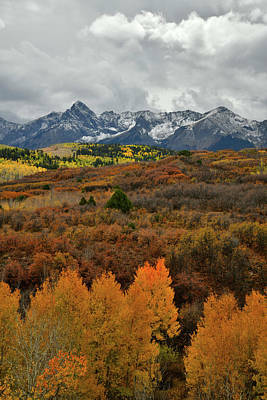 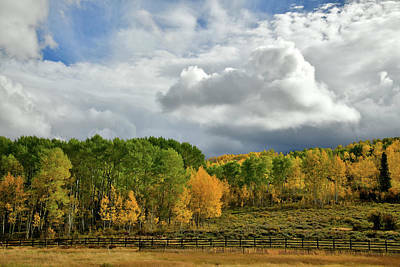 Some of the images in this gallery were taken along County Road 58 which can be found just a few miles west of Dallas Divide. 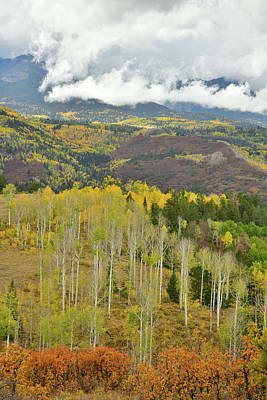 58 goes over the top so to speak and takes you to Telluride. 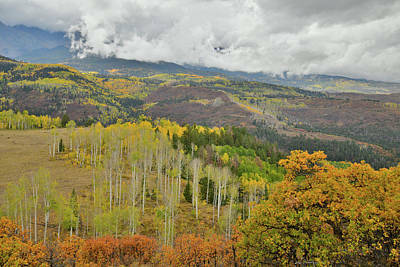 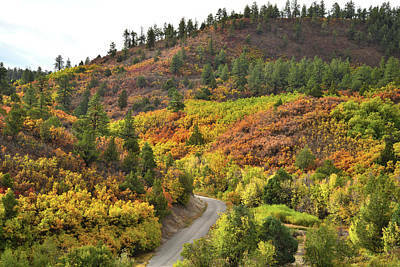 Dallas Creek access roads (County Road 7 & 9) are accessed on the way up to Dallas Divide from Ridgway.